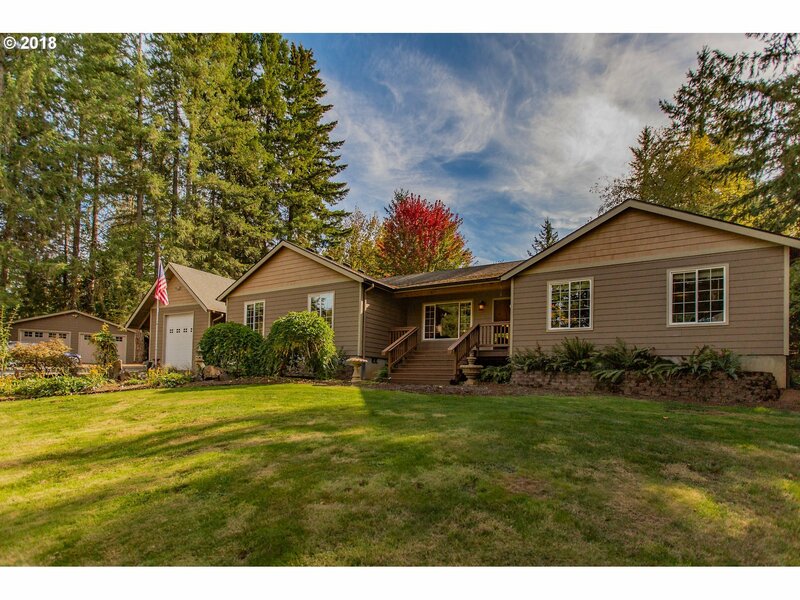 Stunning 1-level home on beautiful, priv 6.42 ac of forest deferral. Huge master ste overlooking landscaped frt yard. Open concept kitchen, dining, living. Office/den. Large deck/patio w/awning & landscaped bkyard. 1 car detch gar w/15x18 shop/storage connected to house by covered walk plus xtra 2 car detch gar. 30x50 220v barn w/9x10 "gold rm, "12x20 studio, 10x18 machine shd, 10x12 grn house, 8x12 patio shed. Ht water recirculator.